Come and see many new paintings at my Dorset Art Weeks show at my studio at Elm Grove,1a Dorchester Rd, Stratton,DT29RU from 25th May to 8th June. We are open daily from 10.30am to 4.30pm except Tuesdays & Thursdays. 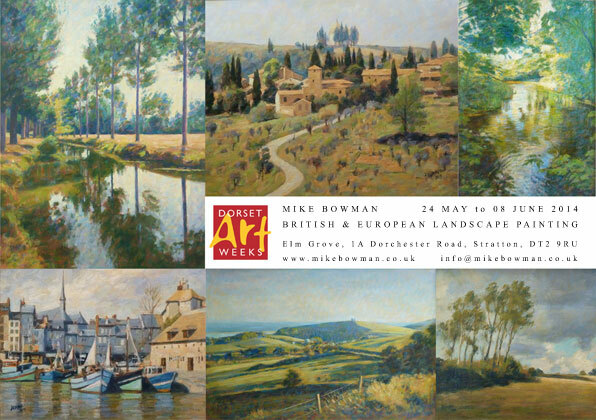 E-mail me on info@mikebowman.co.uk if you would like an invite to the private viewing on Saturday 25th ,10am- 12.30pm.